Over the decades, Jack Matthews collected memoirs and personal correspondence by actual U.S. Civil War soldiers. Eventually this interest led him to write a group of stories from the vantage point of teenage soldiers. The stories are less about specific Civil War battles or the horrors of war than about ordinary adventures and heartbreaks of young soldiers. One soldier constantly composes new epitaphs for himself (much to the irritation of his comrades). A wounded soldier finds himself abandoned by his regiment and accidentally strikes up a friendship with a soldier from the other side. One soldier starts seeing ghostly visions of his dead brother and wants to know why. In the opening story, a courier is sent by headquarters to deliver an urgent (and tragic) message only to learn that the local commander has forbidden him to deliver it. In the final story, two soldiers have to hunt down and stop a hidden sharpshooter nicknamed “Old Mortality” and in so doing have to face (and understand) their fears. Told in an accessible, humorous and even old-fashioned way, these stories have a philosophical bent and give readers a sense of how 19th century young Americans must have pondered their world. This 8th story collection (published posthumously) is the first Jack Matthews story collection to be published in 23 years. This special ebook edition is illustrated by Barbiel Matthews-Sanders (the author’s daughter) and includes two introductory essays by Personville editor Robert Nagle. 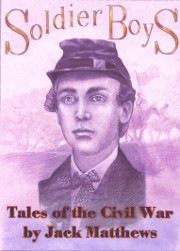 The author’s website (www.ghostlypopulations.com ) also contains a study guide for teachers and an annotated bibliography of Civil War fiction prepared especially for this ebook. The volume includes 9 original stories published digitally for the first time, plus a preface, literary obituary and bibliography of Civil War fiction. The stories themselves are about 45,000 words. 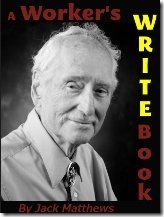 Jack Matthews (1925-2013) published 20+ books and taught literature at Ohio University over four decades. His story collections were praised by authors such as Tim O’Brien and W.P. Kinsella and received positive reviews in places like New York Times Book Review and the Los Angeles Times Book Review. He is the author of Hanger Stout, Awake, a modern coming-of-age novel about a teenage boy’s obsession with cars (which was praised by Time Magazine and called by National Book Award winner William Stafford “one of the most neglected works of the 20th century.”) He has published multiple essays and several works of fiction about life in 19th century America. Coupon Codes: Don’t forget to get the Smashwords coupon code for significant discounts on Jack Matthews ebooks! Note about Ebook Sample: Smashwords doesn’t let you view a free sample (but Amazon does). But the ebook’s preface is published in its entirety below. 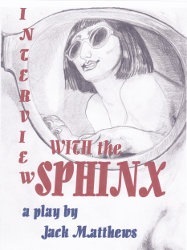 Also, smashwords has a 100% free ebook of Matthews stories. 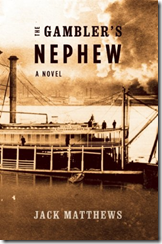 Further Readings on Civil War Fiction (7500 word annotated bibliography. Prepared by Robert Nagle, included in the ebook and now available on the web). RIP Ohio Author Jack Matthews (1925-2013): Book Collecting Enthusiast & Author of Philosophical Fiction (Literary obituary written by Robert Nagle, included in the ebook and available on the web). Soldier Boys Press Release (PDF). This entry was posted in Book Description Pages. Bookmark the permalink.